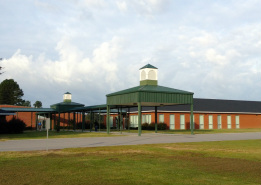 On April 21, 1969, some residents of Marlboro and Scotland Counties met in Bennettsville to discuss forming an independent school that could serve the educational needs of children living in these and surrounding areas. As a result, Marlboro Academy was chartered, opening on September 4, 1969, with 240 students in grades 1 through 12. Today, the Academy enrolls approximately 235 students in grades kindergarten through 12.